Auctions are high pressure affairs and this is why you must be prepared. For the unwary or inexperienced, auctions can be a dangerous place where you might end up spending more than you planned to or need to.When you go to an auction to buy a property there are only two outcomes: you either buy it or you don’t. If you buy it, then you’re happy (provided you’ve stuck to your limit!). If you don’t buy it, then you may be disappointed because you’ve missed out, but at least you have the peace of mind that you didn’t pay more than you wanted to. And if the property was passed in you’re still in with a chance. The following bidding tactics are from a chapter of “The Insider’s Guide to Saving Thousands at Auction” by Patrick Bright. Bright says they won’t guarantee you’ll win every auction you attend, but having a thorough understanding of the auction process will certainly help and give you a better chance of buying well at auction. When I bid at auction I rely heavily on my experience and intuition. You can only predict your competition to a point, but if you understand the game and human psychology well enough, you can gain the upper hand. You’ve got to read the environment and decide what tactics are most suitable. Do you want to set the tone for the auction or do you want to sit back and watch, and then come in at the last minute? The first and most important auction tactic (actually, it’s more like a rule) is: set your limit before the auction and NEVER go over it. This is the only tactic that applies in all situations. I’ve seen buyer’s remorse after many auctions. A little while after the hammer has fallen, the buyer is thinking: “Damn, I’ve paid too much. I shouldn’t have done that”. If you blow your limit, your dream home could become your nightmare liability as you struggle to make mortgage repayments that are more than you’ve budgeted for. Set your limit after you’ve done some solid research and don’t go over it. Just don’t! You need to control your emotions at auctions because emotions can cost money. The number one auction mistake that you will pay for “with interest” is getting carried away and paying too much for the property. That’s a mistake you could end up regretting for a long, long time. But it can be hard to stop yourself blowing your limit when the home of your dreams is about to slip through your fingers. The trick is to stay a little detached. If you’re too attached to the property it’s easier to get carried away. Try to remain philosophical. Remind yourself that you’re not likely to win every auction, and there’s always more than one property out there that will meet your needs. Also, expect the unexpected. Auction bids can jump quickly. One of the rules you must follow if you want to buy well at auction is to never bid against yourself. It sounds obvious but you’d be surprised how often it happens. If you’re the highest bidder and everyone else has stopped bidding, never increase your bid, no matter how much pressure the auctioneer or selling agent puts you under. Unfortunately, I see this happening frequently. The selling agent will go to the highest bidder and say: “We’re close – we’ve nearly reached the reserve. I need you to give me another $20,000.” If highest bidder won’t play ball then they may ask the other bidders. But usually the other bidders are not prepared to bid because they’re not the highest bidder and they’ve stopped bidding. Some people don’t even need to be asked to bid against themselves. Surprisingly, this happens all too often and lately at almost every second auction I attend. It happens when the highest bidder loses track of their bids. They’re so nervous, caught up in the excitement of the bidding process or confused, they raise their own bid. It sounds ridiculous; however, it’s easy to do if you’re not calm and relaxed. The auctioneer certainly isn’t going to bring it to your attention. I have seen auctions with big crowds moving so fast that a couple of different bidders have bid against themselves in the same auction. At an auction you have two types of “adversaries”. There are the other bidders and the auctioneer. The auctioneer wants to run the bidding up as fast as possible, taking big rises and using their bag of tricks, jokes and one-liners to maintain the bidding momentum. But if you want to buy the property for less it can help if you slow the bidding down and do your best to take some control of the auction. One of the best ways to do this is to change up and down the amount of the rises. You’re bound to get some objection from the auctioneer. However, that is just part of the game. If the auctioneer refuses your bid then they’ll need someone else to bid. But if there’s only one other bidder (which is when this tactic works best) what can they do if you sit on your bid? Eventually the auctioneer will either accept your bid, convince another buyer to give them what they want or make a vendor bid. Most auctions start 20–30% below what the selling agent has been quoting. A big opening bid can be useful if you need to wipe out a lot of competition right out of the gate. A good example is from an onsite auction I attended with 14 registered bidders. It was a good property, a lovely two-bedroom terrace in Annandale in the inner west of Sydney and it attracted a huge amount of interest. My research priced it between $720,000 and $740,000, but the selling agent was quoting early- to mid-sixes. From past experience I knew that probably half the people were there thinking they were going to buy it for below $700,000, because most people don’t do enough research and instead believe the price that the selling agents quotes them. Based on the selling agent’s quoted price, I would expect the opening bid to be in the high fives. So, when the auctioneer asked for bids I immediately opened with $680,000. Straight away, I knew I’d probably wiped out most of the potential buyers. And that’s what I intended to do. I wanted to immediately identify who my real competition was. And I spotted them by watching all the body language and conversations going on. Several people looked like they went into shock. The auctioneer then took $10,000 from a lady bidder. He looked at me, I gave him the nod and he went straight to $700,000. At that point two of the other couples looked at each other as if they were out. The lady bid another $5,000 against me and I went straight to $710,000. Another buyer tried to bid $1,000 but the auctioneer wouldn’t take it. She then bid $5,000. The auctioneer looked at me and said, “$720,000, sir?” I nodded in agreement to the rise. No further bids were made and we bought it at $720,000. Bang! It was all over in about three minutes. At that auction, if hadn’t been so aggressive, I am sure I would’ve had to pay more. I’ve seen many auctions with lots of interested parties where the price has slowly crept up and up as all the buyers try to hang on. It’s better to send the message you mean business and wipe them all out at the beginning. Keep in mind that to do this effectively and still buy well you need to know the fair market value of the property. 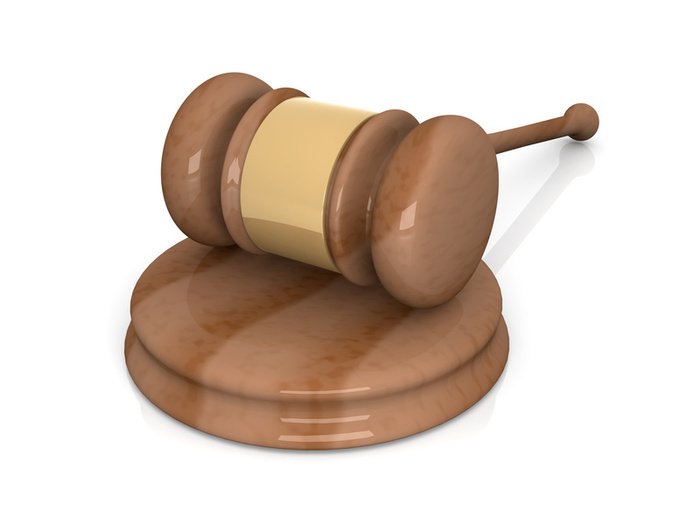 The auctioneer is under no obligation to tell you whether the property is on the market or not. You have the right to ask, but it’s the auctioneer’s right to give you whatever answer suits them. Every property has a reserve, and the selling agent and auctioneer know what it is. If the property hasn’t been called on the market and I want to test if the selling agent is being deceptive and misleading, I’ll ask the question. They won’t like it, as you’re exposing the selling agent’s underquoting. However, you have spent hundreds if not thousands to be in a position to bid so I feel it’s entirely fair and reasonable to find out if you have been lied to. If I don’t get a response I will persist until I get an answer, given the bidding is above the price guide. Either the reserve must have been met by now or I ask why the selling agent has been lying and misleading me and all the other buyers by deliberately underquoting and therefore wasting our time and money. This strategy won’t get you invited to the selling agent’s Christmas party but if every bidder started doing it maybe the selling agents would be more honest with buyers. Bidding at auctions is not for everyone. If you really want the best shot at owning the property you need someone bidding for you who is experienced, confident and assertive. If that’s not your style then you may be better off using an experienced, exclusive buyers agent to bid for you. Unless you’re experienced at bidding at an auction I strongly recommend you get an experienced professional to do it for you. You wouldn’t represent yourself in court, would you, even if it was over a $10,000 matter? Yet you’re considering representing yourself at an auction where there is far more than $10,000 at stake. You’re making the biggest purchase you’ll probably ever make. Don’t blow all your research, time and effort by coming to this point and then getting too emotional or not being able to think clearly enough under pressure. Considering one bid is often $10,000 or more, a professional should be able to influence or slow the bidding up enough for you to more than cover their fee. ← I want to invest, but don’t have time to visit the locations. What are your recommendations?